Expand your Nordic presence - make your business more profitable! Travel Explorations can assist travel companies (tour operators etc.) in searching for opportunities in the Nordic market (especially Norway, but also Sweden, Denmark and Finland). We can evaluate your products or services, work out plans for penetrating this market, find partners and make your business successful in these countries. Whether you are seeking customers, agents, or would like to establish your company here, Travel Explorations can guide your business activities to make your presence profitable in the Nordic countries. Photo. The symbolic gate to get access to the huge travelmarket in Norway and other Nordic countries. Travel Explorations was established in 2000 as a global travel guide. Our aim is to visualize untouched and exciting travel destinations around the world. Based on our business vision we promote travel companies businesses. Through our travel guide Travel Explorations (www.TravelExplorations.com), we have combined traditional travel experience and web knowledge, based on an unique combination of travel expertise and innovative attitude in online travel. Our strong focus on the travel industry gives us a special ability to tailor our services through a deep insight of the marketplace in which our clients operate, and enables our clients to achieve their business objectives more quickly and efficiently. Since we started our company, we have received several requests from companies around the world regarding cooperation, being a travel agent (represent them in Scandinavia ) and building agent network, market tasks, marketing, advertising and running campaigns. Based on this we have expanded our services to also include consultancy. Based on observations of companies which have been successful in their marketing efforts, we believe that in one or another way you need a local presence to be successful in the country or market you target. Local presence and knowledge enable you to attract and communicate more effective with potential customers. It's all about TRUST! That's the main thing in the products and services you are selling! Regarding local knowledge about culture, language and marketing, there is no complete substitute for these. If you believe that personal contact with customers and increased sale capacity in a new market can boost your business, you should consider our services. If you like to be known and available in Nordic markets, we will be delighted to assist you. First of all you need to identify your main target customers in the new market. By doing so, we will be able to assist you in developing effective advertising messages and selling the "right" products/services for the new market. Since we are familiar with Nordic countries, we will be highly qualified to assist you in writing one or more short positioning statements (your company profile) for introducing you in the market. In the statement(s), we will together specify the customer needs you are fulfilling, benefits your products/services offer, and features that deliver those benefits. We have no w started to assist companies in their business development efforts abroad. Trough our network with experienced business consultants, we can pull the best out of skilful resources in various areas.With a strong focus on competitiveness for our clients`, we in Travel Explorations will be a competent and creative partner. Our consultant process is a structured and secure way to visualise and exploit opportunities in the Nordic market. We will be able to satisfy various need and requirements according to clients' wishes. Each solution is tailor-made for the defined problem or faced challenge. The big question in developing marketing strategy is: what should you focus on? We want to share our kno wledge and business contacts with both small and big companies. Especially interesting are small ambitious companies which specialise in niches. 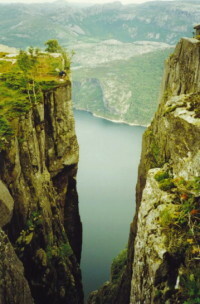 They are often offer unique adventures for travellers who want something special. We believe that many of these companies have a great potential in the future by doing the right things in their market efforts. For this purpose we offer smaller fixed-price packages for professional advice and "help by action". · Present an overview of the travel industry or product segment in Nordic countries. · Provide information about major competitors. We offer services for coordinate advertisements and campaigns on internet portals and printed publications. We also offer media analyse to find out how you can maximise effects of your advertising budget regarding placements on internet portals, magazines, newspapers and more. Establishing a brand for its target group is possibly the most critical for a company which intend to use internet to advertise its products and services. Using the web's interactive abilities, effective marketing is essentially about providing the right message at right time to generate customer response. Our services are based on a well defined concept that works. Travel Explorations also provides a number of services relating to issues, internet solutions and web marketing. Internet is the most powerful, cheapest and fastest communication tool in the world. It's an interactive communication tool that could be considered as a virtual goldmine waiting to be used in its full range of they who want to make their products and service kno wn in the market. And of course target their defined costumers. Compared with traditional media, internet advertising makes it possible to communicate directly with the customers. Our aim is to assist companies to integrate business systems in order to operate more efficiently. By offering companies advice and practical solutions for better communication, storing and processing data more effectively, we in Travel Explorations connect companies closer to their customers. That make them able to increase their sale internationally! Photo. Website design for Travel Explorations. See more of our website on www.TravelExplorations.com. We use a standard publishing tool for publishing articles and breaking news! We believe that information is your most valuable asset on the web and what you gather, how you store and use it makes a difference to how effective you are doing business on the Web. Our customizable solutions are ideal for travel operators, travel agents, organisations, merchants, retailers and all kind of business. We make designs, animation, and application user interfaces for all browsers and platforms, attracting and engaging users with a rich Web experience. By using content management solutions it enables you to effectively structure and manage your sites and rapidly publish information without the need to understand HTML-coding or the publishing process. Another advantage is that you can do this everywhere in the world where you have access to internet. You just need a username and a password! At the same time it reduce your risk in both the development and publishing process. We give you access to powerful tools in a secure environment without downloading any software. That's the way it works today! It's easy and powerful doing it in the right way. Flash effects: use of Macromedia Flash Player and other tools for publishing high-impact, rich Web content, banner advertising etc. We in Travel Explorations can help travel companies succeed by gaining access to Nordic business. We will do this cost effectively and reduce your risk at the same time!. Travel Explorations is your partner for discussing options and assisting your company with marketing analyses for making the right decision, and for making things happen.